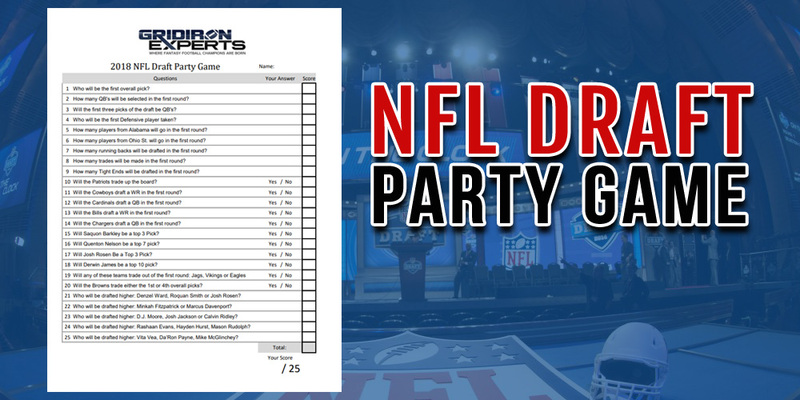 Gridiron Experts has created a fun and easy NFL Draft Party game for those who will be watching the first round tonight. The game consists of 25 questions, mostly Yes or No type questions with some multiple choice. We’ve added a number of easy questions for those looking to just enjoy the event and a few challenging questions that will put the NFL Draft gurus to the test. Normally, most websites would ask you to join a mailing list to get access to this FREE NFL Draft game, but we’re not going to do that. 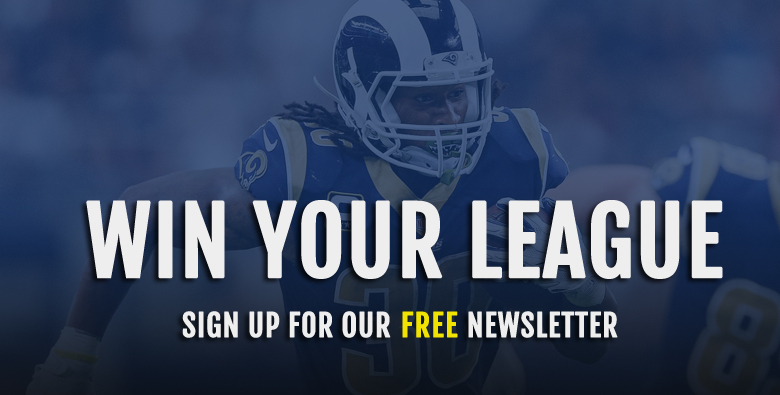 However, I have provided the Email Newsletter signup form below and encourage any NFL and Fantasy Football junkies that would like to receive our weekly emails starting in MAY, to sign up and receive weekly awesome Fantasy Football and Dynasty content.